Fire up the grill, slather on the SPF, and keep an eye out for the ice cream man—summer has officially arrived! 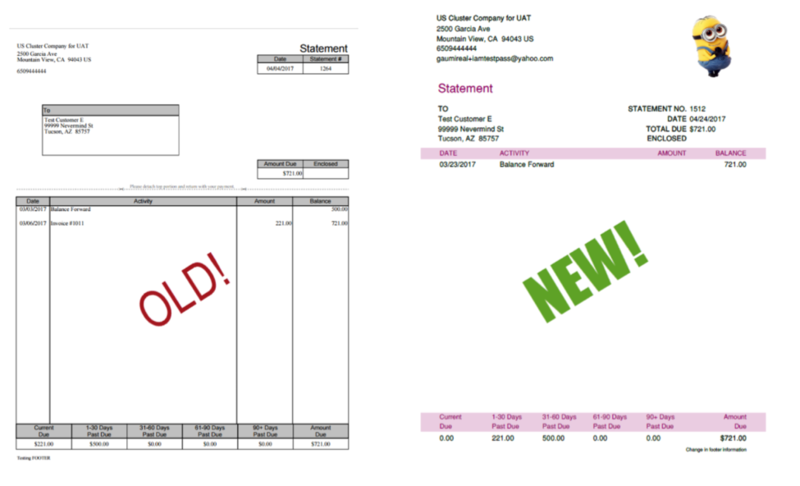 Before you head out for some well-deserved fun in the sun, here’s a quick recap of this month’s enhancements and updates in QuickBooks Online. Spend more time by the pool and less time on your computer with employee self setup, now available in QBOP. Previously only available in QuickBooks Online Full Service Payroll, now QBOP users can invite employees to enter personal and tax info on their own. The result? Fewer data entry errors and more time to tackle other projects (and maybe even time to squeeze in one more chapter of that scintillating summer read). The feature is currently available in 16 states, and will be available in all states soon. Fashionistas and finance gurus, rejoice! Now your statements can be as stylish as your new swimsuit. We’ve given the custom statement tool a makeover, complete with a more efficient user interface and familiar look and feel. 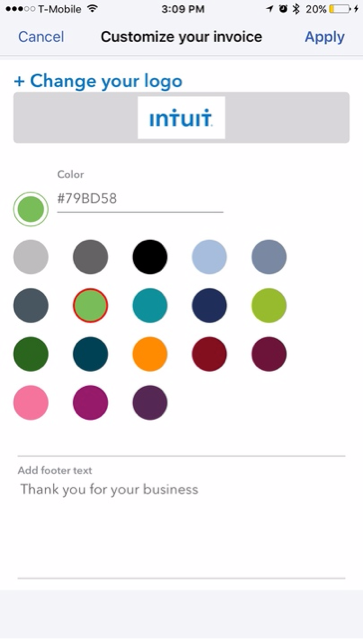 Customize your master invoice template with logos, colors, fonts and more, and statements are automatically updated to match. Whether you’re in a cushy cabin or camping under the stars, now you can customize your QuickBooks Online invoices on-the-go. Add your logo, change template colors, and update the default footer message in less time than it takes to toast a marshmallow. Sweet! Cotton candy, funnel cakes, ring toss—summer carnivals require some serious pocket change these days. Get paid up to two times faster (and never miss a roller coaster ride) when you enable mobile payments in QuickBooks Self-Employed. Free bank transfers and Apple Pay compatibility make things easy for everyone, and you’ll even receive notifications when invoices are paid and the money hits your account. That’s all for now! We’ll be back next month with more updates. Until then, stay cool—a quick run through the sprinklers should do the trick.